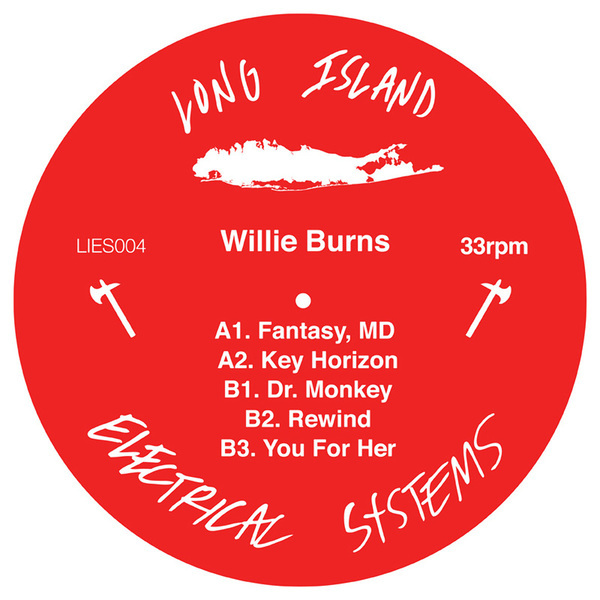 Deepest House burners from the imagination of Willie Burns, who's p'raps best known for his Grackle and Speculator releases related to Legowelt's Strange Life organization. Like those projects, this one's informed by a lifetime of electronic osmosis and a genuine melodic intuition, which really suits the tracky Chicago flow of these tracks. From his darker take on Virgo, 'Fantasy MD', through the sensually satisfying moire of delayed keys and bass in 'Key Horizon' to the cool chords of 'You For Her', his take on the vintage sound is faithful yet fresh, but there's also some weirder, and ace spots of experimentalism with the raw button jammer 'Dr. Monkey' and the hectic edits of 'Rewind', primed to inject some madness into the 'floor.